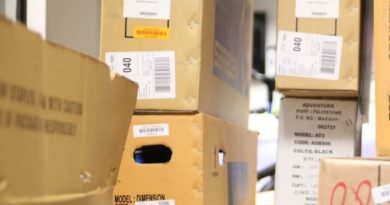 A study published at the end of August by the Amsterdam University of Applied Sciences has recommended a shift in logistics modes, with light electric vehicles shown to be a cost effective replacement. For between 10 to 15% of deliveries the roll out of light electric vehicles is recommended as “cost effective”, says the study, which further outlines that many such vehicles are rapidly developing and will thus only become more useful to businesses. The segments most likely to benefit from light electric vehicle deployment were found to be food and non-food retail, parcel delivery, services and construction. Businesses who also rely on local, same-day delivery are also recommended to assess a fleet of light electric vehicles. Sainsbury’s are one such grocer trialling electric cargo bike delivery at present. 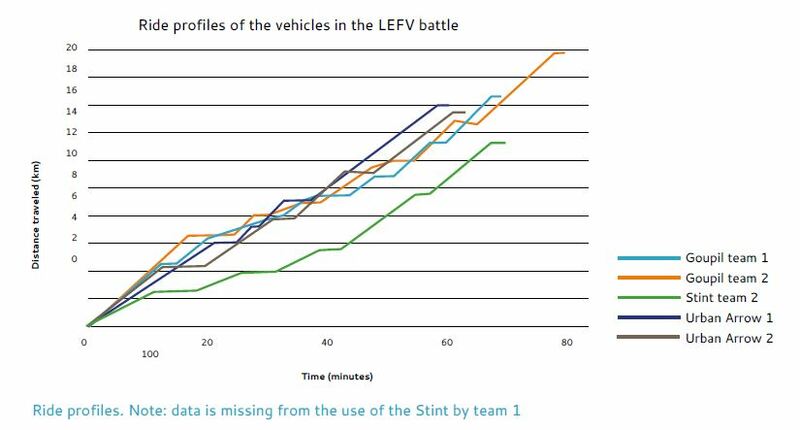 As part of the study, various types of light electric vehicle were pitted against one another using the University’s student resource and a variety of LEVs. Students were tasked with delivering ten shipments utilising an electric cargo bike from Urban Arrow, an electric cargo moped from Stint and a compact electric distribution vehicle from Goupil. Each used the same software to plan delivery efficiency. As seen in the graph below, both Urban Arrow cargo bikes travelled the least distance to achieve their deliveries and completed the task fastest. All teams delivered the items within the set time parameters. Infrastructure may prove a sticking point in the present climate. The study flags that many urban spaces are not prepared for the flow of cargo hauling electric vehicles. In terms of regulation, there are also mixed feelings on the installation of loading and unloading spaces on busy streets. 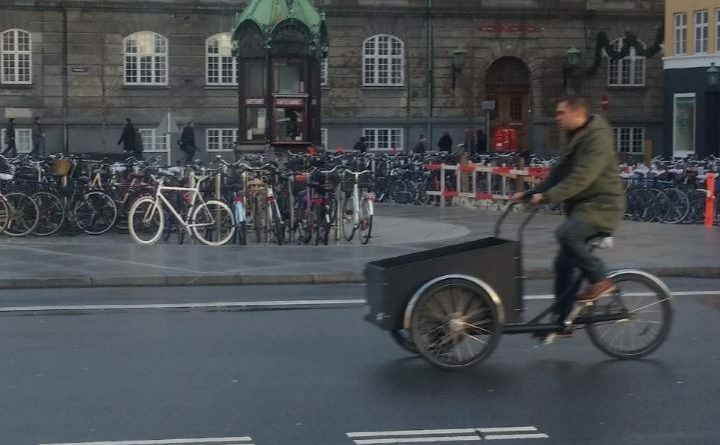 This is one of the study’s main recommendations to Government, with the integration of smaller load-carrying vehicles shown to be stimulated by measures such as the construction of bicycle streets, lowering of speed limits and the creation of loading areas. The efficiency of the electric bikes is nicely illustrated by Google Maps recommendations to the students, a graphic that shows why the electric cargo bikes completed the tasks first. 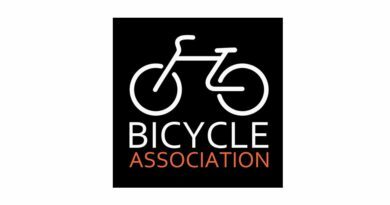 It has been estimated, as part of a similar June 2017 experiment in Maastricht, that, on average, car journeys tend to be 20% longer than that achievable by bike in urban areas. Maastricht, like other European cities, has a subsidy programme for the purchase of electric cargo bikes in place. Conditions of the subsidy included the fitment of a GPS logger, in order that the city could track the efficiency of those businesses making the switch. These included mobile hairdressers, a coffee roasting business and an event agency, among others. In reporting back, HairVisit and PP Events, both of whom travel long distances across the city, said that trips with the e-cargo bike lasted on average as long as those taken by car. However, the businesses later opted to get rid of delivery vans due to fuel cost savings, positive client response and perceived staff fitness. 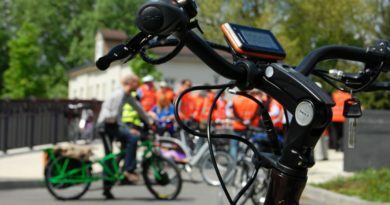 Also discovered within the Maastricht experiment, it was found that with the 4,753 kilometres cycled by e-Cargo riders, 5,720 car/van kilometres were avoided and 1,150 kilograms of CO2 were saved. With the bicycle business increasingly developing both cargo and electric cargo style bicycles, tapping into a changing logistics picture is touted as a fresh opportunity for urban business and one which has been, in the majority of cases, proven to save time and money.